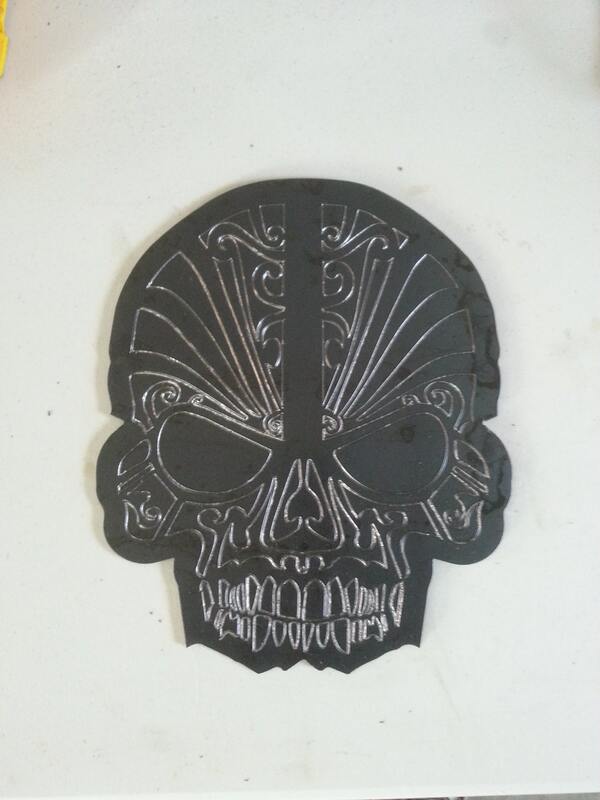 Sugar skull engraved and plasma cut from 1/8" american made steel. Fabricated by me, here in Port Orange Florida. Item is finished with oil in raw steel. Will need to be re-oiled often or clear coated to prevent rusting. Or, leave it as is and allow mother nature to add her own patina to it. Support American workers with American made products!